Why you want to join: To have fun and build! How often you play: It depends - I'm actually Asian and have to study, help my sisters and then jobs around the house but i can join as my mom lets me 1 hour. How you'd contribute: Help others when needed and really artistic! Skills/Specialties: Being very artistic and good at Redstone contraptions! Why you want to join:because i think it is the best exprience when you play with other players! How you'd contribute: i generally like helping in anything that i can. I would get the basic farms so everyone can concetrate in their suff and not worry about food and the basic needs if they want join i will be happy too. Why you want to join: I want to try and build survival-friendly redstone farms, hopefully collaborating with others to do so. How you'd contribute: Building public use farms of reasonably large scale. Skills/Specialties: Redstone, landscaping, decent building experience. Why you want to join: I'm really getting tired of playing alone, plus I wanted to try realms in windows 10 edition since the realms on the java MC is pretty laggy for me. How you'd contribute: Build, gather resources, socialize, repeat. Why you want to join: I want to contribute to an active realm. How you'd contribute: By building cool stuff. Skills/Specialties: Been building things my whole minecraft career. I am ok with redstone. If I have the right stuff, I can make thing look amazing! Age: I don't give away my age on the internet. The best I can give is I'm a teen. Why you want to join: I really like meeting other people and the experience of playing with others makes Minecraft totally different. I really prefer playing with others than by myself and also I just love playing survival more than any other mode. I also expect to learn a lot from more experienced players and, who knows, maybe I can also teach a thing or two. I'm very helpful and willing to contribute in any way that I can! 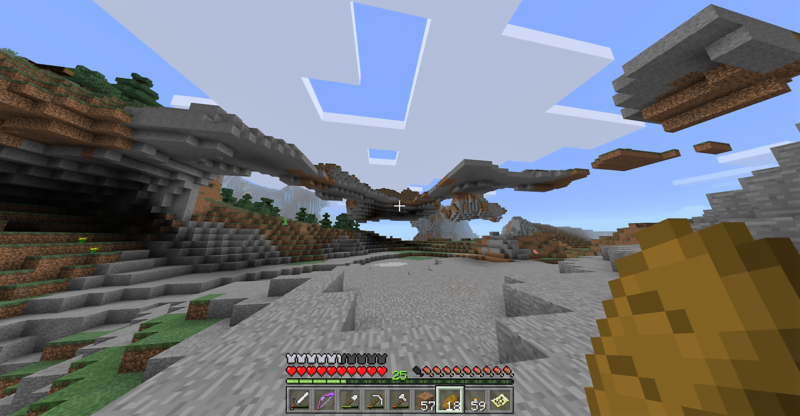 How you'd contribute: I really like to explore anything, including the land "above the ground", caves and even the Nether. I also like mining and gathering so I think I could contribute a lot with resources, mapping and acquiring rare items such as diamonds, horse armors, wither skulls and others. Also, lately I've been trying hard to improve my building skills! Skills/Specialties: As mentioned above, I'm a good tracker and explorer. I think I'm a decent builder, even thou I wouldnt say thats a specialty and I also know my way around not too complex redstone circuits. 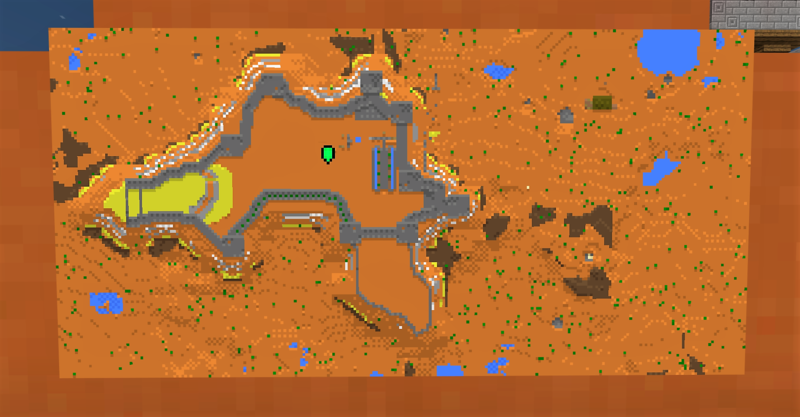 I can make a few farms and some other contraptions here and there. Always looking forward to learn more. I'd like to add that I've read your rules and I totally accept them! I think those are essential to build a good community! Thats it! I hope you consider my application. If there is anything else you would like to know about me, dont hesitate to ask! I hope to hear from you soon! Please say I am not too late to join. Have been looking for a realm to join, but most of them say I must be 16 or older. Skills/Specialties: Decent at combat and farming. Love exploring. Good at mining and building. Terrible at animal farms because the animals start to **** me off. How often you play: I usually play every day/night. Why you want to join: Want to try out the Win10 version and not be alone. How you'd contribute: I'm a very respectful person and am very good at hoarding materials that I don't do anything with (so I'll share everything). Skills/Specialties: As I said above, I'm more of a gatherer than a builder. I like to mine and I like to experiment with redstone contraptions, but I'm not any good with redstone. Hello, if I'm still able to join. How long have you been playing Minecraft: Since 2014. How often do you play: I usually play nightly but my schedule changes. Why do you want to join: I would like to join because MC is more enjoyable with people. How'd you contribute: I'm not much of a builder. I'm more of an explorer and hence, I can help with gathering resources for the entire realm. Skills/Specialties: I'm more of a fighter and explorer. I like to mine and generally get lost in the Minecraft world. Why you want to join:The SMP Server i played on shifted to factions so i am currently searching for a SMP Server. Plus multiplayer Minecraft is fun. How you'd contribute:Good at building and Redstone. Why you want to join: Interested in cooperative play. Enjoy overcoming challenges as a team. Skills/Specialties: Don't mind doing mundane tasks. Organized. Patient. Why you want to join: I like minecraft windows 10 edition and want to play with another players. Besides, i am from Russia and i want to learning English. Why you want to join: I want to join because I like playing in a multiplayer group. How would you contribute: I would be a builder and also be a miner I can build lots of other stuff to. Skill/Specialties: I would help other people in doing whatever they ask me to do except destruction. How long you've been playing Minecraft: Years. Ive honestly lost track. How often you play: I'm very active,... If my internet is available. Why you want to join: I'd be lying if I said I didn't find this whole thing really cool and interesting. I want to contribute and help out with things as this world progresses. Working together as a team is where its at! How you'd contribute: Id use all of my knowledge of Redstone and Buildings to contribute to whatever project people would need help with. I also can clear out large plots of area with relative ease. Skills/Specialties: Building, Redstone, Mob Combat, and traps are my skills, but I specialize in making things fun and enjoyable. How long you've been playing Minecraft: Don't remember, 5+ years? If this realm is still active, I would love to join! Why you want to join: I'd love to be in a multiplayer realm and get to play with other people! I've always wanted to do that but cant ever get my friends to play, so I'd love to play here and make new friends!